According to the I-T department, Chidambaram's wife, son, and daughter-in-law had failed to disclose a property they jointly own in Cambridge in the UK, worth Rs 5.37 crore. 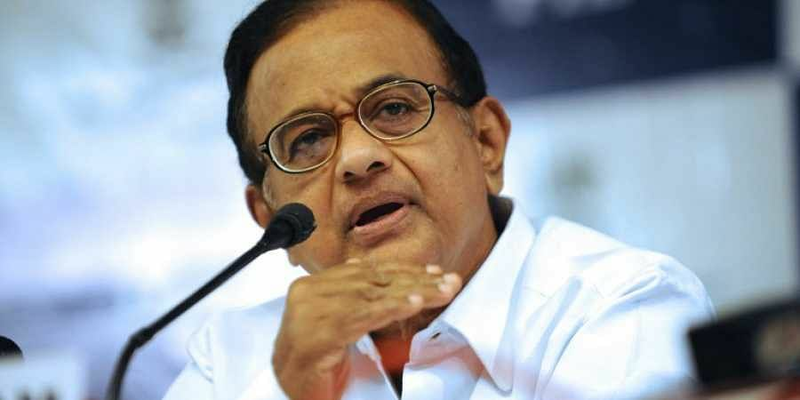 CHENNAI: The Madras High Court Friday extended an interim order dispensing with the appearance of former Union minister P Chidambaram's family members before a special court here till November 2 in a case of 'non-disclosure' of foreign assets filed against them by the I-T department. A division bench of Justices S Manikumar and Subramonium Prasad, has already reserved its order on the main appeals moved by Chidambaram's wife, son and daughter-in-law, challenging the prosecution initiated against them by the Income Tax department under the Black Money Act. On September 14, the court in an interim order dispensed with the appearance of Chidambaram's wife Nalini, his son, Karti and daughter-in-law Srinidhi before the special court for economic offences cases, Egmore till October 12. With the interim order coming to an end Friday, it was extended up to November 2. He had also "failed" to disclose investments made by Chess Global Advisory, a company co-owned by him, which amounts to an offence under the Black Money Act, the department has said in its complaint filed in the special court in May. Assailing the prosecution, the three had approached the High Court. As a single judge bench refused any relief, they moved an appeal. On June 27, the first bench headed by then Chief Justice Indira Banerjee reserved its order on the appeal. The Act deals with undisclosed income raised from foreign assets. But in the present case, all the relevant information had been disclosed by the petitioners in their returns filed under the Income Tax Act, the counsel had said.